Never heard of a health savings account? Chances are, that’s about to change. President-elect Trump has talked about using these tax-advantaged savings accounts in his overhaul of the country’s health care coverage. That has many in the industry predicting big changes in the fast-growing HSA market. As such, it’s a good time for those who have HSAs — and those who might soon be getting one — to dig deeper into the benefits of these increasingly important and often confusing accounts. Mention an HSA and most people will think you’re talking about a flexible spending account or FSA, which is a use-it-or-lose-it annual account funded with your own pretax dollars. HSAs are different. Funded with pretax dollars and often with employer contributions, they’re portable, and they never expire. Plus, money in them can be invested for tax-free growth, and funds withdrawn to pay for qualified medical expenses are never taxed. 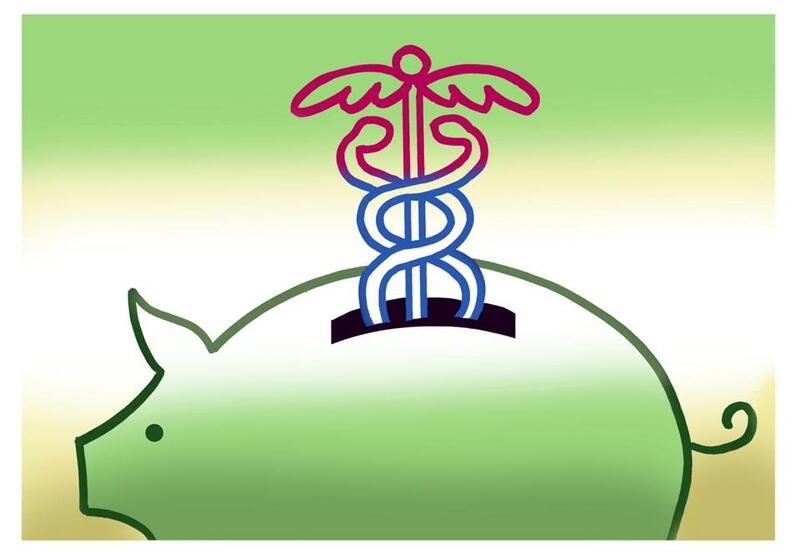 “HSAs are going to be the next 401(k),” said Pat Jarrett, president of Health Savings Administrators, an HSA provider. In fact, he believes HSAs are a better deal, thanks to their triple tax advantage. But there’s a catch — you can’t get an HSA unless you have a high deductible health plan, which the federal government defines as health insurance with annual deductibles of at least $1,300 for an individual and $2,600 for a family. That means many people don’t qualify for an HSA, even if they want one. A growing number of employers, however, are moving to high deductible plans as a way to lower premiums. Nearly 30 percent of employers offered an HSA eligible plan in 2015, according to theEmployee Benefit Research Institute, and the number is expected to keep rising. Some employers offer only high deductible options, but others include high deductible plans as one of several options that also might include traditional HMOs and PPOs. Employees with high deductible plans typically get an account linked to a debit card that can be used to pay their qualified medical bills. Sometimes employers will make a significant contribution to their workers’ accounts. That means employees can pay their current medical expenses with pretax dollars, and in some cases with their employer’s money. But the benefits are far more advantageous for people who have the resources and are willing to save their HSA money. They can invest those pretax HSA dollars, let them grow tax free, and then take money out at any time to cover medical expenses, even those that might have been incurred years before. All without paying any taxes. “I could reimburse myself 25 years later,” said Jim Spaniol, HSA manager at Falcon National Bank. Or once he hits age 65, he says, he could take HSA money, pay the income tax, and use the account just like an IRA to fund his retirement. Still, HSAs aren’t for everyone. Because tax savings are the primary advantage, there isn’t much benefit to people who pay low taxes — or none at all — unless the employer is providing a hefty contribution. And some will find that they simply can’t afford the higher deductibles, even if the insurance coverage comes with lower premiums. Given all the complexity, some number crunching is critical. Eric Roberge, a fee-only financial planner in Boston, created a spreadsheet that takes into account fees, premiums, deductibles, out of pocket expenses, expected medical bills, and tax bracket to help clients make educated choices. Even when there appear to be significant savings, he says, some clients opt for the more traditional plan to make sure that the doctors they use will be covered. Another reason that some people hesitate: uncertainty about changes proposed by the incoming Trump administration. But advisers say it’s never a good idea to stay on the sidelines watching opportunities pass by. • Shop for your provider. If your employer’s plan doesn’t offer an investment option, you can move that money to a different provider. Health Savings Administrators, for example, offers first dollar investing with options that include Vanguard, Dimensional, T. Rowe Price, and TIAA. • Look for low fees. Annual administration costs, custodial fees, and a variety of transaction charges will take a bite out of your HSA savings. Providers that offer investment options also may add a “wrap” fee on those investment products. • Fully fund your account if you can afford it. For 2016, an individual can contribute $3,350, with the amount increasing to $3,400 this year. Those on a family plan can contribute up to $6,750 in both 2016 and 2017. If your payroll deductions don’t get you to that max, you can add funds directly to your HSA. You have until April 18, 2017, to make the 2016 contribution. • Catch-up provisions allow people age 55 and older to contribute an additional $1,000 a year. If both spouses are over 55, only one catch-up contribution can be made per account. The second spouse, however, can open a separate account to make his or her own $1,000 contribution. • You can’t contribute to an HSA if you’re enrolled in Medicare. But if you signed up for Medicare Part A and never used the coverage, you can un-enroll and still qualify. • The federal government makes you sign up for Medicare if you’re 65 or older and file for Social Security. And that makes you ineligible for HSA contributions. But a spouse not claiming Social Security and covered by the family’s high deductible plan can instead contribute to a separate account. Lynn Asinof can be reached atlasinof@journalist.com.